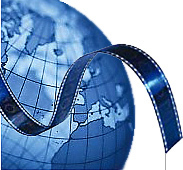 Innovations in closed captioning, subtitling, dialogue recording, track reading, meta-indexing and translation. UniSay online services and integrated software tools give you more control over content, timeline, and costs. Solutions are designed to support sound engineers, video editors, broadcast engineers, animation directors and any other digital media professional. UniSay's MPEG-7 based media analysis enables the automation of many manual tasks; enabling you to take full advantage of the latest in digital media innovations. Experience UniSay services with a limited trial account. © 2017 UniSay. All rights reserved.